The CTA held its first CTA forum at the MARQUES Annual Conference. 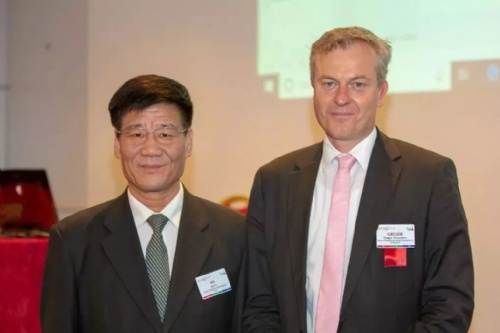 With the theme of "Well-Known Trademarks in China", the CTA forum was divided into two parts and was hosted by Julia Hhongbo Zhong, the Chair of the MARQUES China Team and the Vice President of Lee and Li – Leaven IPR Agency Ltd. The speaker in the first part was Mr MA Fu of CTA, who mainly introduced the reform of the IP institutions in China which has been just completed. In March of this year, China merged the Patent Office and the Trademark Office. The two offices were merged into a new National Intellectual Property Administration, PRC, and accepted the leadership of the State Administration for Market Regulation (formerly the State Administration for Industry & Commerce). How to divide responsibility and authority in the new institution has become a concern of IP rights holders, lawyers, IP practitioners, experts and scholars in China and other countries. The introduction of the new institution reform has given a clearer description of how IP rights, including well-known trade marks, are protected in China. In addition, President Ma Fu summarised the history, structure, members and the main projects of the CTA and the reform of the China trade mark management system. The second part focused on well-known trade mark protection in China. The speakers were Mr MA Fu and Ms LEI Changxin, a partner at Liu Shen & Associates. They respectively gave speeches on the theme of the administrative protection of well-known trade marks in China and the judicial protection of well-known trade marks in China. President Ma Fu mainly introduced the evolution, protection principles and protection status of the protection of well-known trade marks provided for Chinese administrative organs. From the perspective of practice, Ms LEI introduced in detail the factors that influence the judicial recognition of well-known trade marks, the types of evidence used to validate the recognition of well-known trade marks and its probative value, and the future direction in the effort concerning the recognition of well-known trade marks. In the Q&A section, the participants asked a lot of questions about how well-known trade marks are better protected in China and about the influence on the reform of the China trade mark management system. The CTA forum was well received at the Annual Conference and achieved very good results.